These are delicious with a slight tang from the lemon juice. We love them! The first batch did not last very long, but it doesn't take long to make more so let me tell you how. 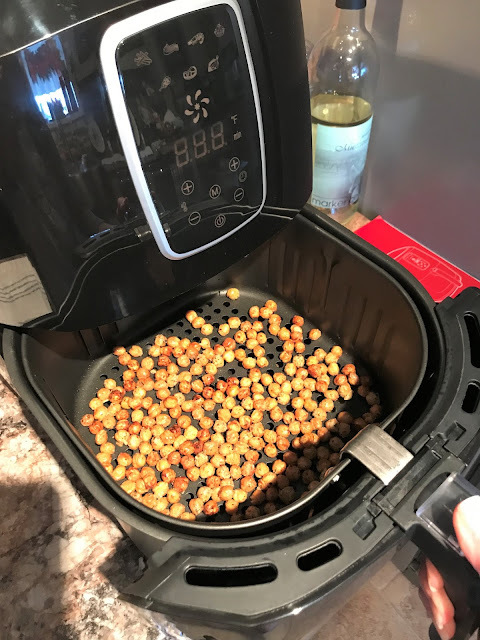 Preheat your Air Fryer if it calls for it. 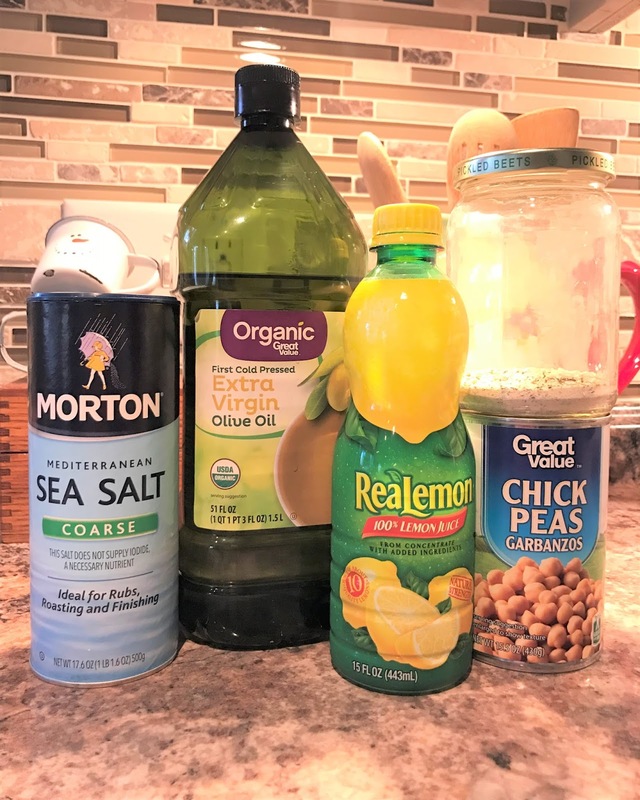 In a small bowl, toss together the chickpeas and 1 tblsp of the olive oil. Air fry at 400F for 15 minutes. 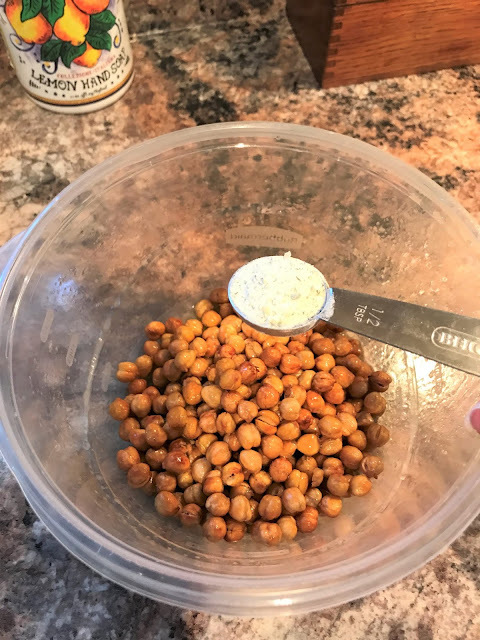 Transfer the chickpeas back to your small bowl, and toss in the remaining oil plus the ranch seasoning, salt, and lemon juice so the chickpeas get nice and coated. 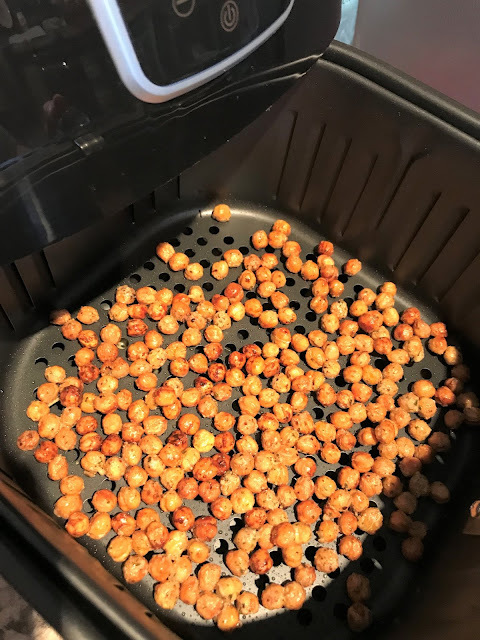 Transfer the chickpeas back to your air fryer basket and cook at 350F for 5 more minutes. If they last long enough, you can store them in an airtight container in the pantry. They will keep for a couple of days. Make sure they are completely cool before you store them. This is my Air Fryer. It is a BCP Air Fryer with extra large 5.2L basket. It takes up a lot of counter top real estate, but it also holds a lot as well. 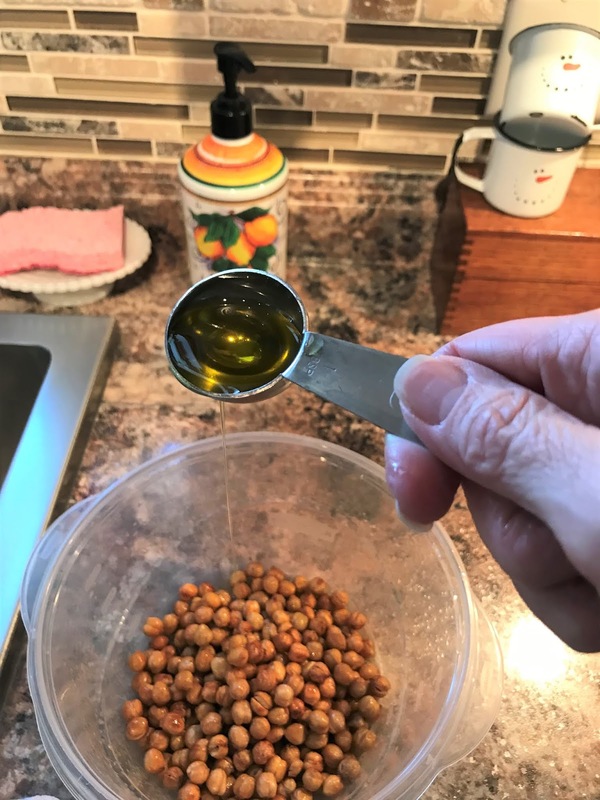 After the first roasting, return your chickpeas back to the same bowl you used for the first round of oil. 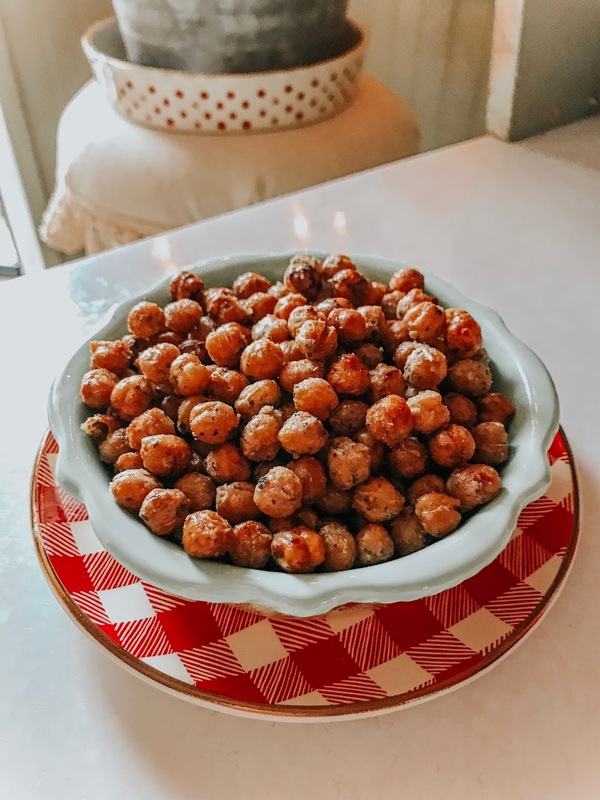 I use a bowl large enough to "swirl" and "toss" the chickpeas around in. Add your second round of oil and swirl and toss once more. Now add your homemade ranch mix powder and swirl and toss again. 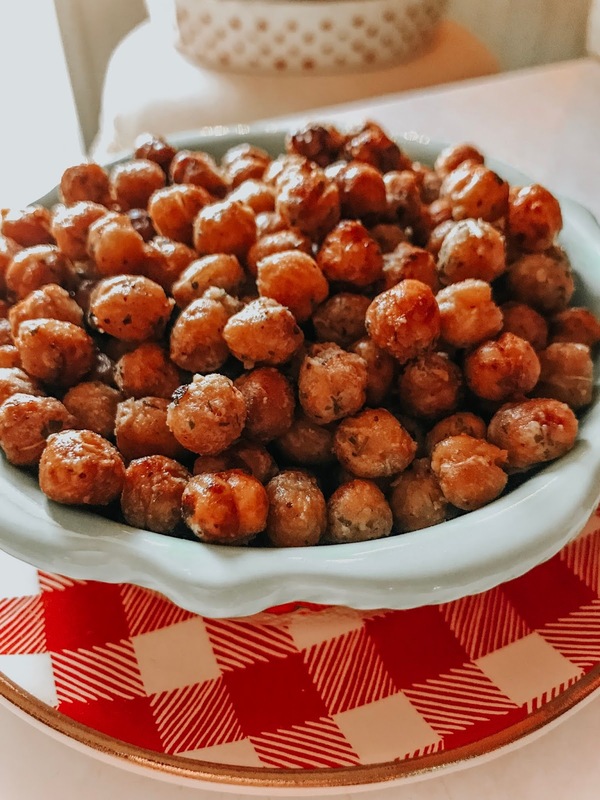 Return the chickpeas back to the basket in one layer for best results. Now, they are done! Let them cool just a bit and munch down! The flavor of these are so good and I will be making them again and again. If you loved this recipe and want to save it for later, be sure to pin it to your favorite Pinterest board. 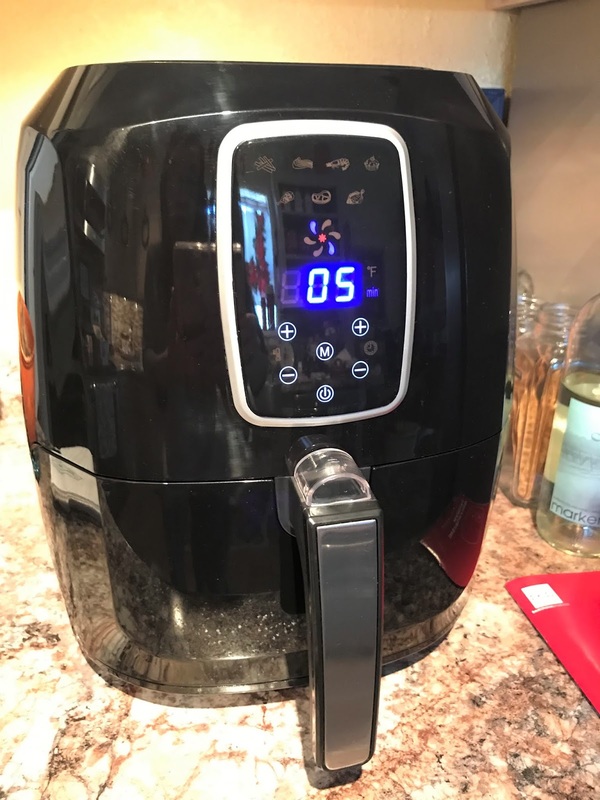 I have a Pinterest board all set up just for my air fryer and I'm pinning some yummy recipes to try too. Thanks for sharing this recipe on Homestyle Gathering, DeeDee! 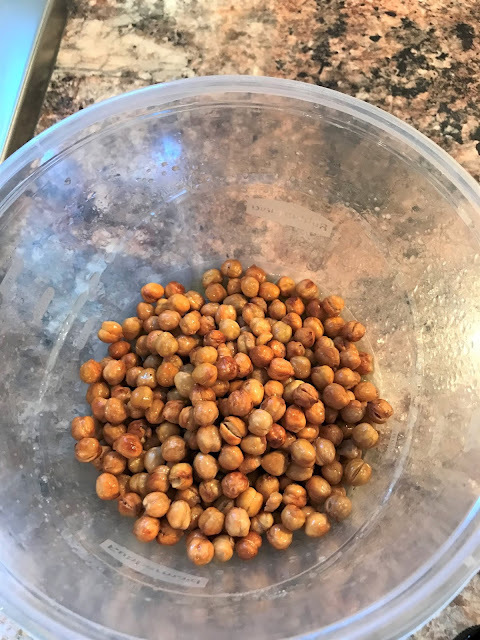 My grandson loves chickpeas... I bet this could be a new fave snack! Oh, this makes me want to get an air fryer. My sister-in-law loves hers, so maybe it's time to take the plunge. :) These look like a perfect snack. Thanks for sharing at Sweet Inspiration!